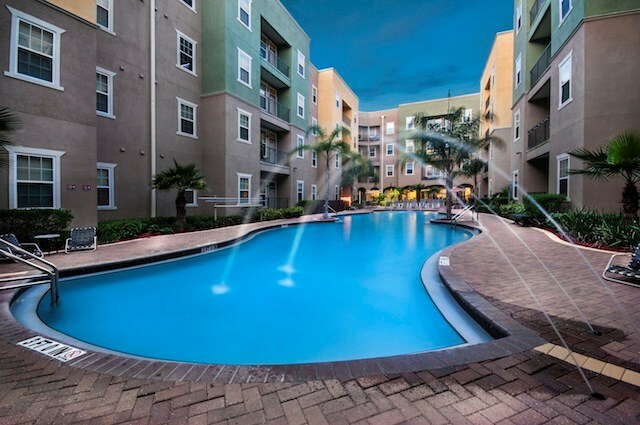 40FIFTY Lofts is a USF affiliated apartment community offering 3 and 4 bedroom student-style apartments within 0.2 miles (that's a quick walk) from the University of South Florida. Click to schedule a tour to see what students love about living at 40FIFTY! Spend Saturday afternoon in the sun with 2 resort-style courtyard pools with plenty of seating and space to hang out with friends with outdoor pool tables and grilling station with 3 grills. 24-Hour Fitness Center with free weights, weight machines, and cardio equipment with separate Fitness On Demand room for custom classes. High-tech clubhouse with study booths equipped with power hubs, 2 Smart TV's, FREE tanning booth, and 24-hour computer lab with 5 Macs, 2 PC's, and free printing. Seriously close to class - located on 42nd Street within easy walking distance to USF campus and on the USF Bull Runner route. 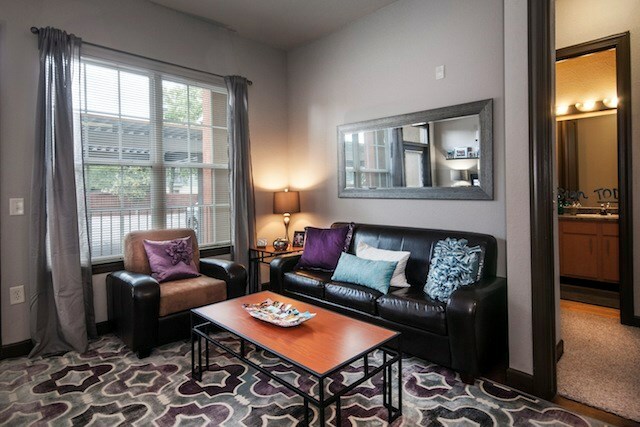 Student-friendly leases are all inclusive - with electricity and water (with cap), high-speed internet, cable with HBO, furniture, and basic parking included in one easy monthly rate. 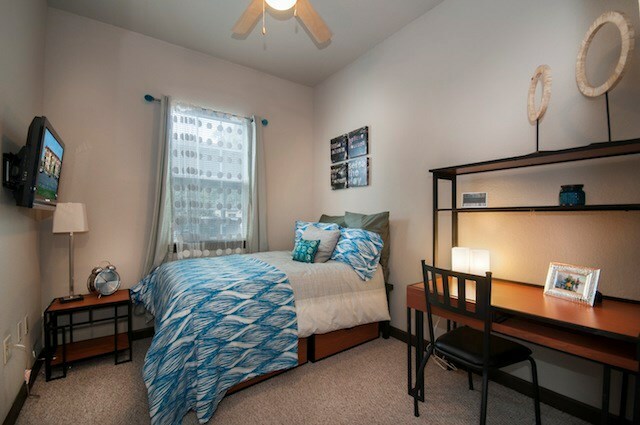 Bedrooms include a private bathroom for every resident with extra storage, huge closets, flat screen TV, full size bed, mattress, night stand, desk with chair, and storage drawers under bed. Modern kitchens with tons of storage in cabinets and pantry, kitchen island with bar seating, upgraded appliances, and full size stackable washer and dryer included. 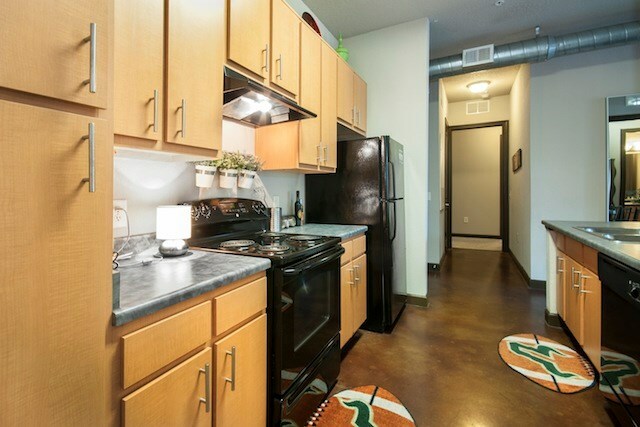 Unique, modern-industrial vibe with loft-style features like 12' ceilings with trendy exposed ducts, stained concrete flooring, and a balcony/patio in every apartment. Pet friendly with plenty of green space for your pet to explore! We've sent your message off to 40FIFTY Lofts. If you'd like to chat with the staff immediately, feel free to call them at (813) 434-1288. If you would like to chat with the 40FIFTY Lofts staff before your tour, you can call them at (813) 434-1288. We're checking availability for you now! Someone from the leasing team will contact you shortly. Meanwhile, please feel free to call 40FIFTY Lofts at (813) 434-1288.